You’re at a restaurant and there’s a buffet. So many good things to eat! You love food and there are unlimited quantities. Are you worried that you’ll eat too much? That used to be me. My brain would think, “Free food! Lots of yummy stuff!” and I would eat too much just because it was there. Then I’d feel gross. I’d be stuffed and uncomfortable. Usually gassy too. Why do we do this to ourselves? I’ll explain that in this episode, and tell you about a much better way. 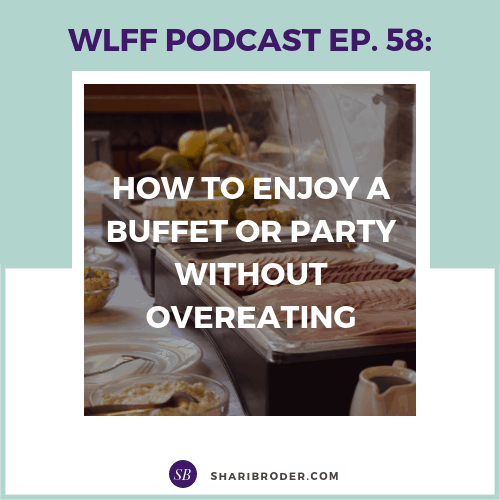 Because you CAN go to buffets and enjoy them without overeating or experiencing food FOMO. The problem is that first you have to shed your diet brain. 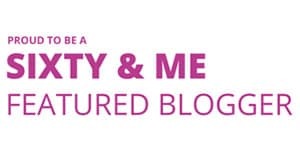 Listen to learn how people using the Weight Loss for Foodies Abundance Mindset approach parties and buffets and how different it is from the scarcity diet mindset that you’ve probably had . . . until now! I hope you’ll use these strategies and prove to yourself that you can go to any buffet or party and enjoy the food without overeating or gaining weight! Episode 29: Do You Overeat to Avoid Wasting Food? Previous Post EP. #57: Eight Best Ideas You Learned This Year, Part 2 Next Post EP. #59: What Do You Think When You Look in the Mirror?